Manama: Saudi Grand Mufti Shaikh Abdul Aziz Al Shaikh has urged fighting members of the Islamic State for Iraq and and the Levant (Isil), saying they are aggressors who abuse people’s lives, possessions and honour. “This group is wrong, not right, and if they fight Muslims, it is the duty of Muslims to fight them back to ward off their evil and keep it away from religion and people,” the Grand Mufti said. “They are evil and they have been killing people in a horribly gruesome manner. Through their macabre and repugnant acts, they have tarnished the image of Islam,” he said as he answered a question on the religious significance of taking up arms against the movement, Saudi daily Al Eqtisadiya reported on Sunday. The Grand Mufti warned all people, particularly youth, from heeding the calls issued by the group. “Anyone who incites you to hate your country or to target your people and leaders is cheating you and wants to debase you, not to help you,” he said. 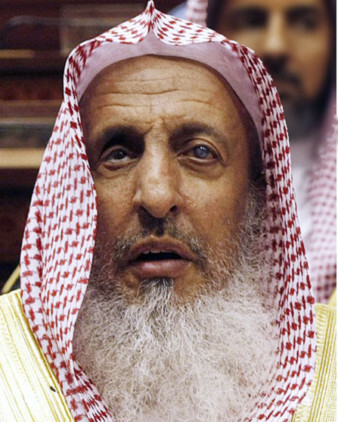 Shaikh Abdul Aziz said that young Saudi men were particularly targeted as part of a ploy to destablise the kingdom. “When they saw that the country was secure and at peace and had a balanced interior and foreign policy, they became so jealous that they wanted to undermine its security and stability. They thought that having enemies within the state was more important than having them from abroad, so they started their evil schemes,” he said. “We need to protect our youth as well as their minds from evil corruption and blight that no Muslim would tolerate,” he said. Saudi Arabia religious figures have been speaking openly against the extremist movement, warning young men from joining it. Last month, King Abdullah Bin Abdul Aziz urged Muslim leaders and scholars to confront the extremist groups and ideologies attempting to hijack Islam. Religious scholars have to work harder to combat extremist interpretations of Islam and to carry out their duties to promote genuine Islam, he said. The king in February issued a decree to jail any Saudi who fights abroad or joins a terrorist group for up to 20 years.